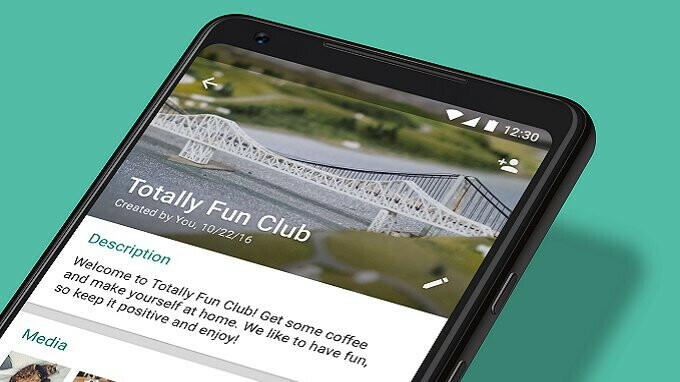 WhatsApp took to its blog today to introduce a series of new features for group chats. One new feature allows for a description of the group to be posted. This will explain the group's "purpose, guidelines, or topics" and will be visible at the top of the screen to new members. The "@" button now found at the bottom right of a group chat will allow users who have been away, to catch up. Tapping on the symbol will allow members to see all messages that mention them since their last visit to the group, or reply to a previous message that they sent. Want to know who is participating in a group chat on WhatsApp? That information can now be found by searching for participants on the group info page. And there are a couple of changes directed at group chat administrators. In group settings, administrators can restrict who can change the group's subject, icon, and description. And Administrators can now remove administrator powers belonging to other group members. With the changes, a WhatsApp user cannot be kicked out of a group that he or she started (That is called Steve Jobs syndrome. If you stop drinking Pepsi, you're less likely to contract it). Lastly, WhatsApp says that users cannot repeatedly rejoin groups that they have previously left. All of the new features are rolling out today to WhatsApp users on iOS or Android. It's anoying when people start changing the damned group pic over and over during the day -_____- Good call FB, Whatsapp or whoever came up with that.